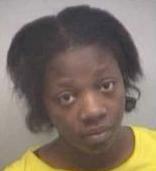 *Authorities say Tyler Perry’s home in Atlanta was broken into last Thursday by an 18-year-old named Chloe Ware. But, within minutes of getting into the home, Perry’s bodyguard caught the young lady. However, she wasn’t alone. The other two invaders escaped. But, everything was captured on camera. Meanwhile, as we reported on Monday, the actor and playwright offered to rebuild an elderly woman’s home, which was destroyed in a fire over the holidays. I think she wanted to drop off her resume, so he could review it before her interview.